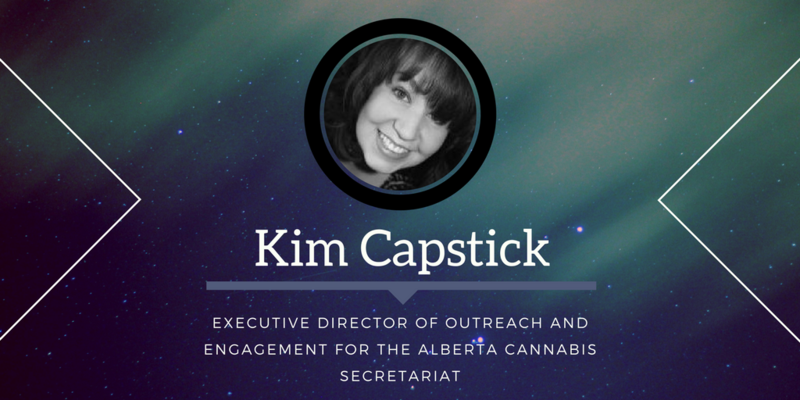 Kim Capstick is the Executive Director of Outreach and Engagement for the Alberta Cannabis Secretariat. She has been with the Secretariat since Day One, helping to recruit and establish the team that would take on the unprecedented work of creating a system for legalized cannabis in Alberta. Kim has a lead role in developing the policies and elements of this system and also leads the engagement process, which saw more than 60,000 people share their views about legalized cannabis — one of the largest responses in Alberta government history. Kim’s career with the Alberta government spans two decades, and includes establishing and leading teams through wildfire and flood recovery, leading the development of a comprehensive communications framework on natural resource development and serving as Director of Communications in several ministries, including Alberta Environment. Kim is married with two young children. Kim’s expertise and experience adds true value to our panel and we are thrilled to be welcoming her to Cannabis Canada Forums Business Opportunity Day. Kim will be speaking with the Legislators in Edmonton, Alberta on Friday April 13th during the Chamber of Commerce Luncheon. She will be joining a group of highly regarded speakers to speak about the Legislative Landscape: Ministerial and Municipal Update – An update on plans for legalization roll out, potential mandates for government levels and public safety concerns.